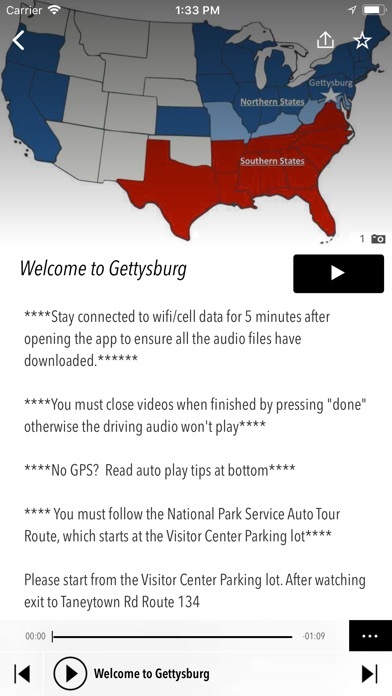 Gettysburg Driving Tour now has over 1.5 hours of audio so that you can hear stories and music at each of the 16 stops as well as on the drive to and from each stop. 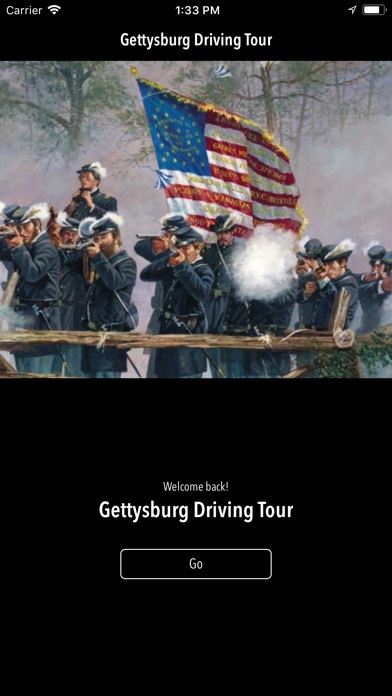 Drive through Gettysburg and into history with Gettysburg Tours. Watch live action battle scenes that help you imagine real events on Gettysburg’s open fields. 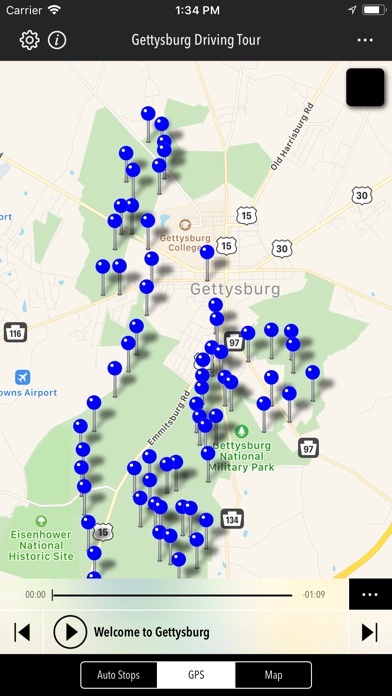 Gettysburg Tours isn’t just a static map and pictures; it’s a fully immersive and interactive experience. Press "Allow" when prompted after downloading the app. 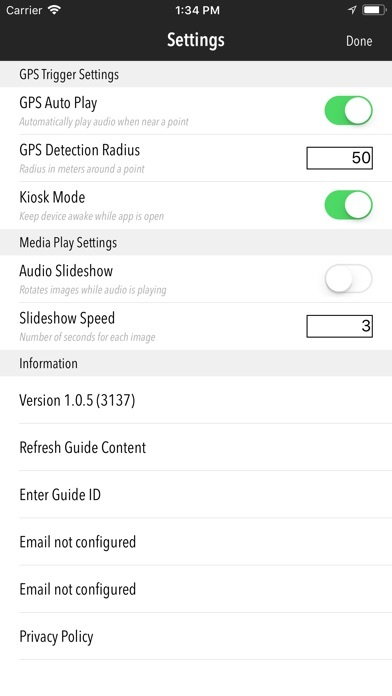 You MUST allow the app to track your location for the GPS triggers to work properly. If you do not allow the app to track your location, the app will show your location as the last location your app was at and the GPS triggers will not work automatically. At each of the National Park Service’s 16 Auto Tour Stops you can: -GPS triggered audio that plays automatically as you drive -Watch battle videos specific to your location -View custom maps -See historically accurate and realistic paintings -Get directions to the next stop You can zip through the park quickly by pausing at a limited number of key stops, or spend more time and experience all 16. It’s fun, flexible, and easy to use. 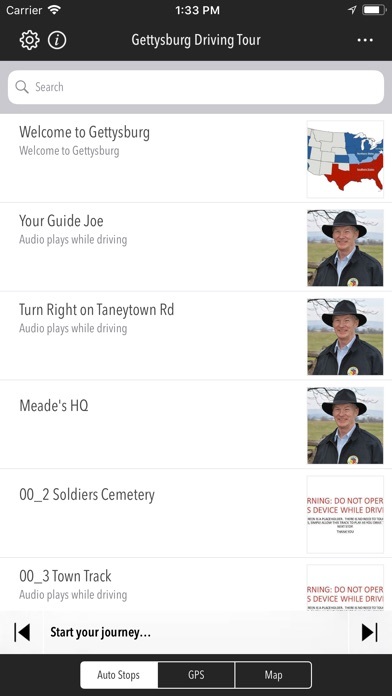 The audio in the app will trigger and play as you drive by historic battle fields. Please note: Continued use of GPS running in the background can dramatically decrease battery life. Old Town Trolley Tours D.C.